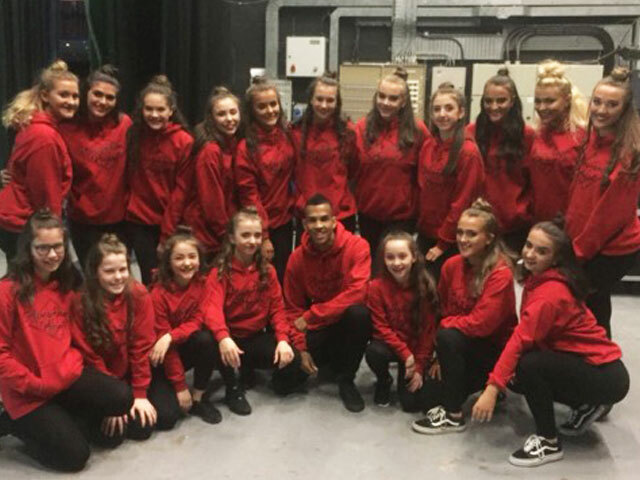 Apex Dance Project (ADP) is the brain child of Matthew Grieh, member of Sky 1’s Got To Dance favourites – Antics Dance Crew. Axznt worked with Antics on the Show Got To Dance and I got to know the boys personally. They’re still pretty much best friends but on different paths (doing amazing things still) and Matt has moved up to Scotland, still training, teaching and has been been nurturing ADP since 2015… They have grown from strength to strength and quite a tight knit group now. 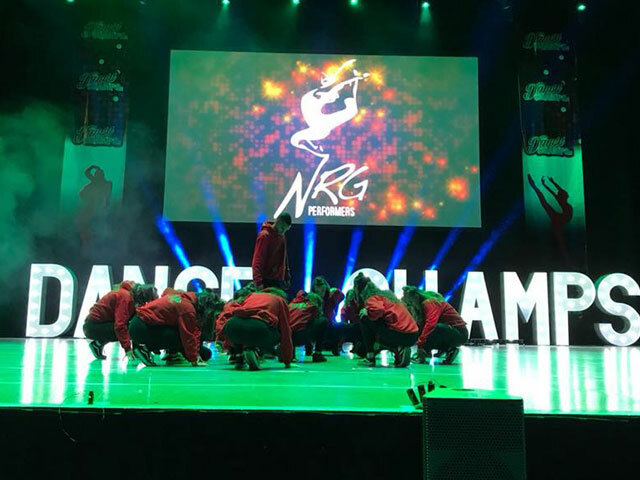 I started teaching for NRG Performers in Falkirk (Scotland) which I absolutely love. 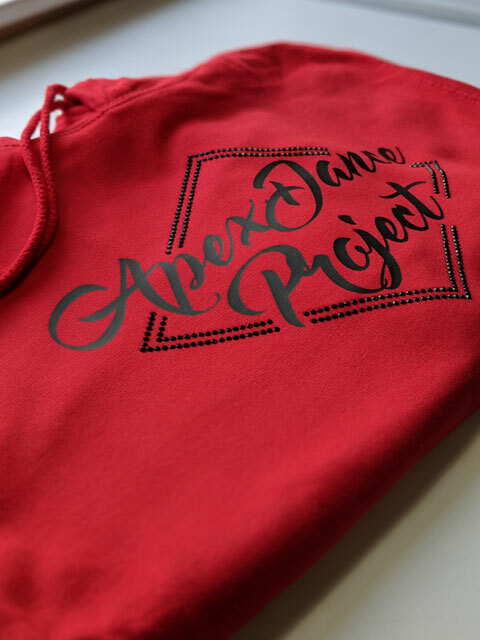 When I found my feet I decided to set up Apex Dance Project in the aim to inspire, to create, to showcase and to give opportunity to those who have a passion and love for dance. This design was done on request and was originally in black, white and crystal which is a combination you can never go wrong with. This year, Matt wanted to be a little different and picked red and black but rather than doing the most common thing (putting Red on Black), he decided to go with Fire Red hoodies and Black Vinyl print, complemented by Jet Black Rhinestones which I must say turned out beautifully, so striking! These are the pieces prepped ready production. Front and back required two presses each. Vinyl first and then Jet Black Rhinestones as the finishing touch. Front Hoodie Design: Red and Black always work perfect together. 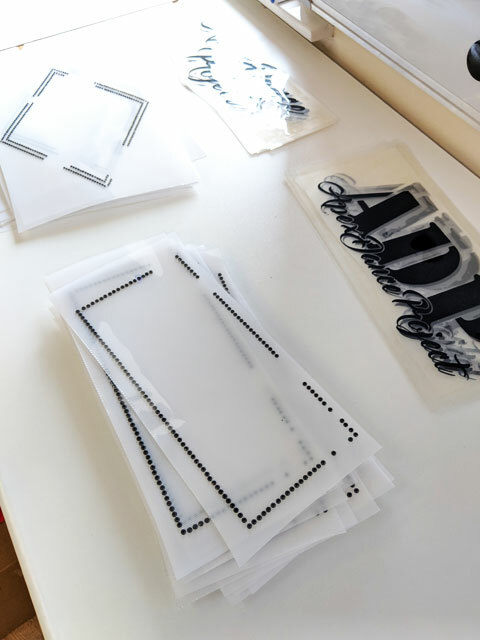 The double line off ss16 Jet rhinestones was purposely set smaller with spaces for the typography to give an effect of depth. 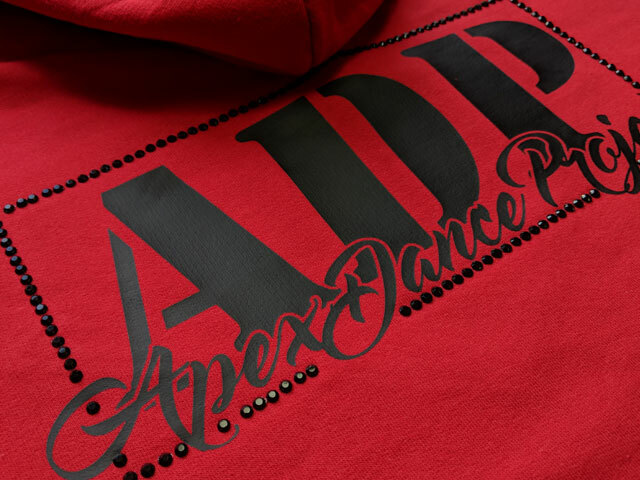 Back Hoodie Design: This time, although there are only 2 elements (Vinyl and Rhinestones), we added a third dynamic by overlaying ‘Apex Dance Project’ over the large ‘ADP’ and then running the rhinestones almost through the text. This particular photo allows you to see how the rhinestones manage to capture the light even though they’re black, it’s subtle, but when on stage you would get the occasional surprise sparkle! Happy ADP - Thank you for working with us!